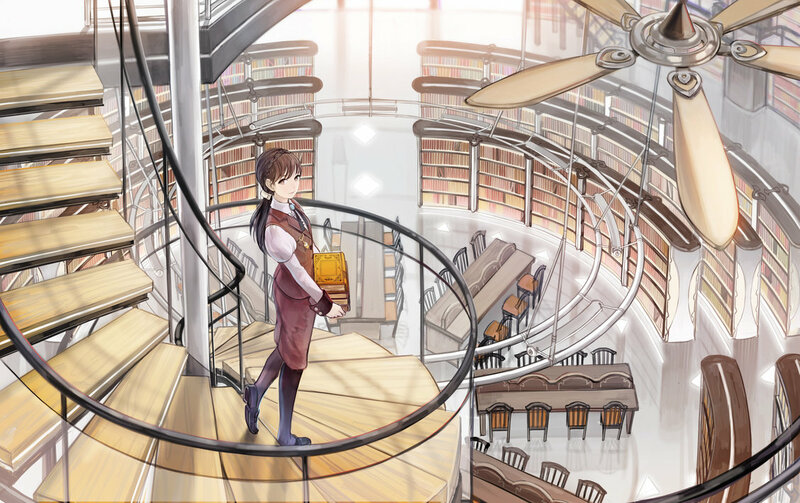 The story focuses on Senkō High School’s Literature Club, whose five members; Jurai, Tomoyo, Hatoko, Sayumi, and Chifuyu, have all somehow developed superpowers. The superpowers have now become a part of their everyday lives as they battle against others wielding similar powers. To put it bluntly, When Supernatural Battles Became Commonplace is a very underwhelming yet tolerable production and something I could imagine studio Trigger working on. 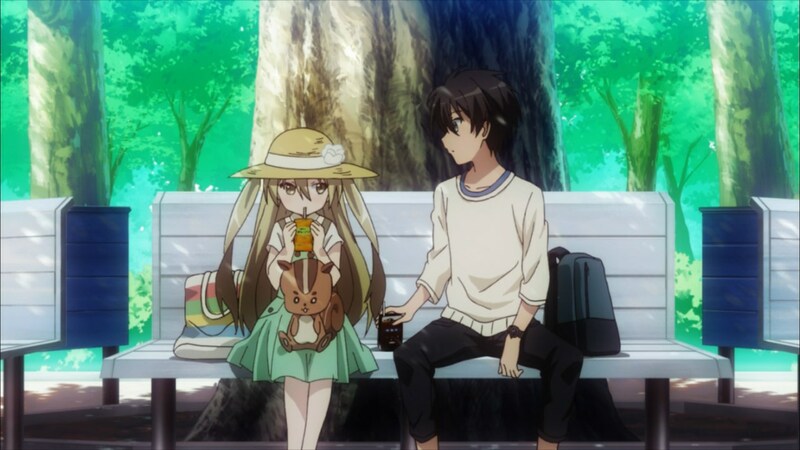 Lacking some of the over-the-top mayhem compared to past works, Supernatural Battles still does carry a similar spirit in its risible atmosphere and the main goal of this eccentric romcom. And while Jurai Ando, the lucky delusional male protagonist for the series wouldn’t be my first pick for a romantic interest, he does at least have some interesting chemistry with other 4 female members of the Literature club that all happen to have some sort of mysterious supernatural ability. While most of the first half of the series explores the unique relationship between Ando and the girls, the latter half tries to put it to good use as a minor source of conflict and catalyst driving the limited overarching plot explaining the nature of the supernatural powers. In the end, neither amounts to anything noteworthy and like most light novels, ends on an unresolved note. All-in-all, while the overall story tends to be unimpressive and lingering message it leaves at the end tackled so much better by other titles out there with the “coming-of-age” theme, a majority of the audience will be sticking around for the humor, which straddles the line between doing its job and completely missing it. With most of the jokes and gags relying on the characters distinctive traits such as Chifuyu’s inquisitiveness or Hatoko’s obviousness, the punchlines simply come down to how well you like the characters in their respective roles. Personally speaking, most of the humor using that style I really didn’t find all that amusing or did anything special. In fact, Chifuyu, one the youngest members of the group seemed to hold down the comedy portion far better, since her chemistry with Ando seemed more fitting and was able keep up with his antics more than someone like Tomoyo by comparison. Nonetheless, the character dynamics are palatable and work when need be, so can’t throw too much flack at it from that side of the equation. I do wish that the whole harem/romance thing wasn’t apart of the said equation (since honestly, none the girls seem to match him all that well), but what can you do about that? Oh, and good luck looking out for a very special cameo in one of the episodes. Trust me, you can’t miss the character. As always, Sentai Filmworks included an English dub for this home release that is fairly nice. Even though the option exist, most of the subtitles still do follow the Japanese track very closely due to the English version making some slight, albeit minor tweaks. For example: in episode 4, there is one particular conversation that Ando has with another character, but changed in the English version to something slightly less offensive (and creepy) despite it being delivered in semi-hilarious tone for the Japanese track and the subtitles still in tact to reflect it. Likewise, episode 7 does a similar trick due to the Japanese track voice actress going through her lines at a breakneck pace and the English having to shorten a few lines, but still manages to match the subtitles. That being said, the choice of English voice actors are definitely hit or miss, most such as: Maggie Flecknoe as Sayumi and Sasha Paysinger as Chifuyu match up to their Japanese counterparts, while the others like Shanae’a Moore as Tomoyo or Melissa Molano as Hatoko kind of miss the mark by a large margin. Of course, your mileage may vary. In terms of music, Elements Garden provides a well-rounded soundtrack selection that matches the series tone, but think that the ending and opening themes tend to represent it best. As aforementioned, compared to the rest of Trigger’s catalog, this series in particular falls short of measuring up when it comes to style, yet it does seems like it received a modest budget based on the animation. The quality does tend to drop off rather quickly in future episodes and apparently, based on this release, that they didn’t fix some the issues, but since most of it is minor like when certain scenes take attention from the character’s facial expressions and other miscellaneous details the viewer will miss, it really doesn’t warrant the effort. Seeing how this was the first project that the studio has dealt with outside their own work, it does at least paint a very positive image that their craft for producing weird, yet entertaining shows can also apply to those preexisting as well. And while this one might not be the best example, When Supernatural Battles Became Commonplace is still another average and agreeable light novel to anime adaptation that will sit fine with most viewers. 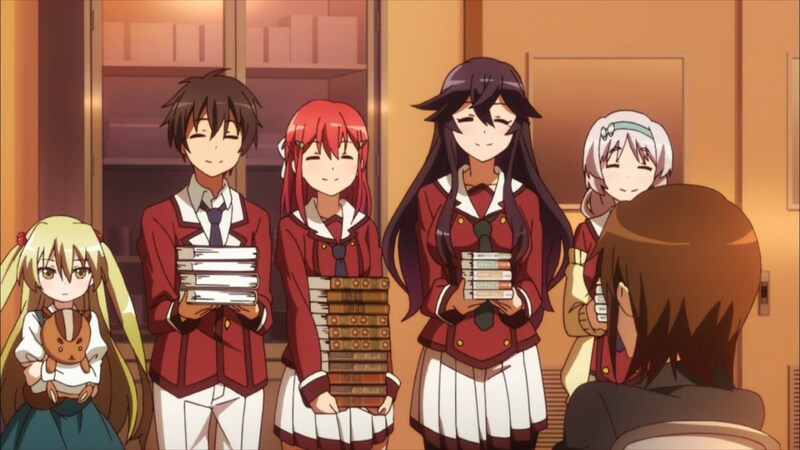 Final Verdict: Lacking some of the outlandish and indulgent humor most titles bring to the table, When Supernatural Battles Became Commonplace still comes with a lot of charm and glee most viewers can get behind. Not exactly a recommended or one that comes up in passing, yet a frivolous choice that won’t hurt nonetheless. This anime is awesome. Great review by the way.